With just two rounds left we’re approaching the end of the season and things are getting tasty. As you might recall, Rally Deutschland was a rough round for many because Hyundai lost its two tarmac aces during the rally. Fortunately that didn’t happen in Spain. Unfortunately that’s because the team lost all three of its cars during the rally, two on the same corner. This, along with the retirement of popular pick Latvala, meant disaster for most, as every roster had at least two zeros on it. There was, however, good news for seven brave players, as Kris Meeke beat the odds and managed to finish all the stages for just the third time this year, netting his second win of the season in the process. In the fantasy game Arch Duck earned his first round win, and with the top two players having lackluster results in Spain it’s now a five horse race for the title, as only 24 points separate the top five spots. Game on! Now it’s on to Wales Rally GB for the penultimate round of the championship, and no one is more nervous than Malcolm Wilson. M-Sport has the opportunity to clinch both the driver’s and manufacturers championships here, and with four wins for the team here hopes should be high. However, this is where M-Sport championships historically go to die, first losing it by two points with Colin McRae in 2001, then by just one point with Mikko Hirvonen in 2009. Fortunately for M-Sport, with a 37 point lead over teammate Tanak and a maximum 30 points on offer this weekend it’s guaranteed that Ogier will go into the final round in Australia as the points leader, but whether he secures the title in Wales or goes to Australia in a close title fight is yet to be seen. 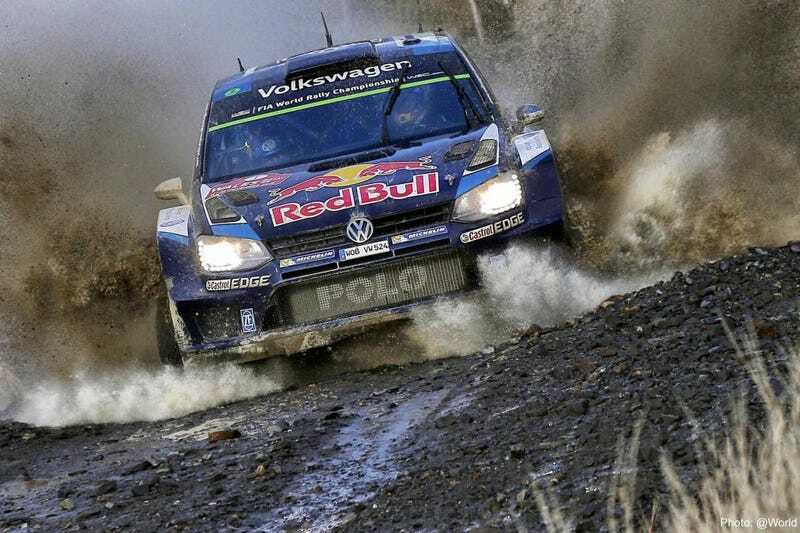 That said, Ogier has won the last four events in Wales, so no pressure, right? Speaking of good luck at certain events, Wales is statistically Kris’ second best event in the championship, with an average result of 12 points and a career worst finish of sixth in Wales. On the other hand this is topsy-turvy 2017, Kris’ best event is Argentina and he had the biggest crash of his career there this year. If you haven’t seen them yet, be sure to read the updated rules (in case you haven’t heard, you can now pick up to two drivers per team!). Here’s the official Entry List, and the current fantasy points spreadsheet. And while you’re at it, you can also look at the driver’s data and statistics here.